Let me start by saying this is a picture of my husband. This was taken years ago. He got this shirt while we were away on a business trip together for a convention. 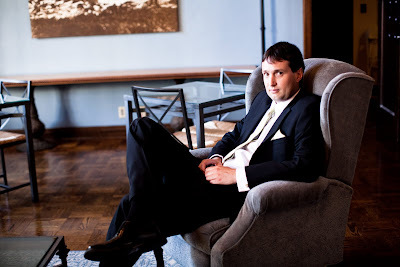 Let me also say he is a highly succesful attorney and would be mortified that I am sharing this picture with all of you. That's what he gets for not reading my blog. 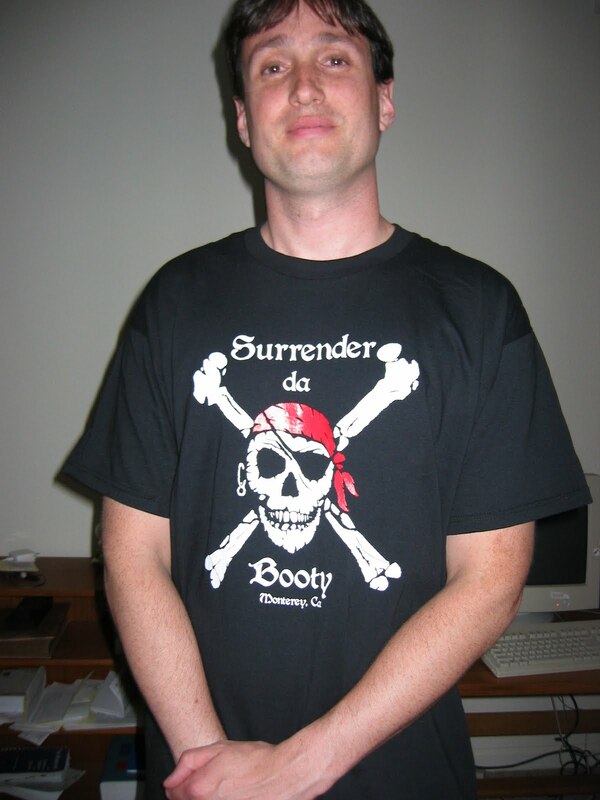 The shirt was a joke and I have not seen hide or hair of it since this picture was taken. It does give photographic example of my latest marital confusion. My husband has about 30% of our walk in closet in our bedroom and then another walk in closet in his home office. Our shared closet is filled with business suits and dress shoes and his office closet is completely jam packed with jeans, t shirts and casual clothes. When I say jam packed I mean jam packed. There are STACKS of jeans and PILES of shirts and the entire FLOOR is covered in clothes. Then he also has a dresser in our room filled with more clothes. The strange part? All he really wears when not working are two pairs of casual shorts, two pairs of jeans and maybye four shirts. What are these shirts you ask? Ridiculous thread baren memories of his past. Stupid law school shirts, old college shirts and one or two decent casual shirts that I can be proud of. He wears these shirts over and over and washes them over and over and now you can actually see right through most of them they are so thin. The other day I decided to get adventurous and organize his dresser drawers while he is at work. Now don't go thinking I am going to win the wife of the week award or anything. I mostly did this to benefit myself so I don't get waken up at 7:15 A.M. after spending hours awake during the night with our baby to the sound of. I have no socks. I really need new socks. I can't find any socks. With further investigation during my daytime prowling I found that the man does not indeed need more socks. He has an entire drawer full only they are pushed in the drawer along with old shirts and other oddities. On the upside I did find most of my missing socks. Bonus! When I finally revealed my project to him he was pleased. I said I was going to finish the job and do his entire dresser. His response? You can throw away ANY of my shirts only don't throw out a single one of my law school shirts. How could I even CONSIDER throwing away a faded black now almost purple shirt with LAW SCHOOL printed in block letters across the chest. Someone might forget he is a lawyer after all. I mean really. So I ask you. 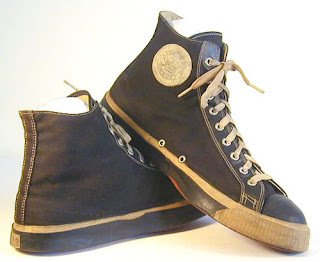 Why does he hold onto these souveneirs of the past? I equate it to my old sorority shirts or cheerleading shirts. Sure they are cute. The shorts with the paw on the booty sure were awesome when I was 17 and jumping around the football field only by the first semester of college the cheer garb was a thing of the past. No paws decorated any of my attire and I did not head out of the house in anything that would indicate my participation in cheerleading during my formative years. Same goes for the good old sorority shirts. It was really cool to remember the fraternity date dash and I definitely sported that commerative shirt to many a hung over breakfast with the girls during college. The sorority letter sweatshirt from my big sis was adorable and I wore it all around the beach on windy nights. Only the day I walked across that stage and took that diploma the sorority shirts made a quick exit into a storage bag and remain there not to be worn again. So what is it about guys and their old t shirts? Will I ever understand his attachment to his 20's? Will he ever wear the nicely pressed Polos I buy for him or am I in for years and years of remembering the glory years? Eventually these things have to fall apart don't they? A t shirt can only be washed so many times one would think. I got really spoiled when I was pregnant. My husband cooked for me all the time and he is an amazing cook. Now that I am a stay at home Mom I am the one doing the cooking and I love to cook only I am so not inpired every day to make something exciting. I am really trying to cook seasonally and make interesting new dishes that incorporate all the amazing ingredients we have available. Last weekend we picked up a bag of fresh apricots right off the tree from my in laws house. They are really ripe so I had to do something with them quickly. 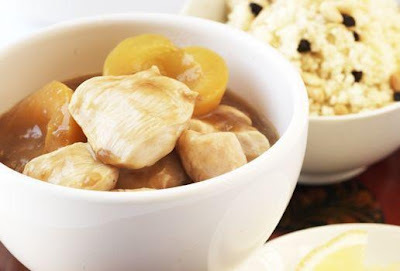 I found this recipe for Evin's Indian Apricot Chicken on Allrecipes.com and sort of made it my own. Here is my recipe. 1. Season the chicken with garam masala, garlic powder, salt, and pepper; set aside. Heat the olive oil in a skillet over medium heat. Cook the onions in the hot oil until tender, about 5 minutes. Add the chicken; cook and stir until the chicken pieces are no longer pink on the outside, about 5 minutes. Remove the mixture from the pan and set aside. 2. Pour 1 cup of chicken stock into the pan and bring to a simmer. Scrape up the brown bits from the bottom of the pan; stir in the apricot preserves and vinegar. Thin with the remaining chicken stock as needed to create a smooth sauce. Season to taste with the hot sauce. Place chicken back in pan; simmer until chicken is cooked through, about 10 minutes. Stir in the apricots, lime zest and butter before serving. 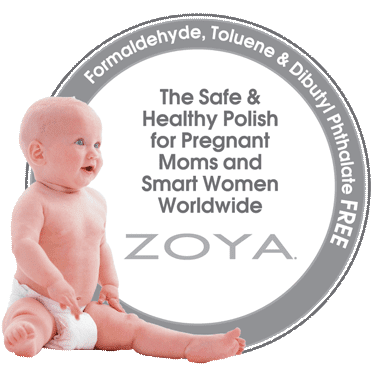 My Mom found me this awesome polish when I was pregnant since my husband and I made a decision to avoid as many toxins as possible when I was pregnant. I admit I did get my hair highlighted once. Only it was for my wedding so I made the case for it. Besides that I went as natural as possible. Now it is a lifestyle choice that I don't want to give up! I have the base coat and top coat and I did my own pedicure and it has lasted for weeks! Support this cool brand and let's get rid of unnecessary ingredients in beauty products that have the potential to hurt us and our kids! You have until Wednesday to claim your free bottle! Just visit their website for details. Want to know more about Zoya? I haven't been to a wedding since. Oh I don't know. MINE! Last October. I haven't been a wedding guest in ages which is weird because I do have lots of single friends. Come on ladies let's get serious Mom needs an excuse to get out and party! I have not been out since Baby Posh Play was born in March. We have been invited to two fab weddings in August and September one week apart. Now I have something to work on for the next two months. Getting ready for my wedding guest debut! (By the way. Has anyone been watching Jersey Couture? I just watched some chick spend $1,000 on a wedding guest dress. Seriously? I guess it must be an East Coast thing)? For now I am going to drool over the potentials. Like this little number from Jessica Simpson. I know I am still obsessed with this avocado green color. It was our wedding color and now Baby Posh Play's room color and who knows what else I will infuse with this color before the year is up. Don't you love a formal dress with pockets! Totally cute. I might have to buy it especially since it is only $65 on sale at Ideeli! Need an invite to shop Ideeli? Here you go! We just got married in October so I am still getting used to my new fam. They are great and I am blessed to have a whole new group of people who love me. Only some days they just say the wrong thing. Here is my compilation of the latest and greatest. Her-You know your hair is going to start falling out soon. In chunks. Big chunks. Me-Really? It hasn't yet and it was so pretty when I was pregnant that would be sad. Her-Baby Posh Play still has blue eyes. They will be brown soon. (My husband has brown eyes and I have blue eyes). Me-Hmmm maybye only I am holding out that they will stay blue. Her-No they won't. The (Blank) browns are strong. Me-I am just so tired all the time. Me-I know only I think it will improve as time goes on. Her-It won't. Get used to it. Me-It is so cool to think about what Baby Posh Play will be when he gets older. The President of the United States, a future basketball star or who knows. Her-Ha! (Snort) Not with the (Blank) genes he will not play basketball. His Dad was so clumsy. Me-I am quite athletic and so is my family so you never know. When I married my husband I acquired all of his kitchen gadgets. This man is obsessed with kitchen gadgets. He has every juicer, roaster, blender and mixer on the market. Most of his gadgets are ridiculous and I hardly use them only his bread machine is something I have grown to love. There is nothing more rewarding than a nice warm loaf of bread with dinner. Not having to heat up the kitchen makes it even more exciting! Especially in summer. Having warm bread without a warm kitchen is a huge bonus. Usually the bread my husband makes in the bread machine is really yeasty so I don't love it that much. Is that because he uses the quick mode? I don't know only I decided to experiment this week while he was at work. Last night I made the best bread machine bread I have ever made. I started at 6:00 P.M. and put all the ingredients in and realized we wouldn't have bread until 9:30 P.M. so make sure you start early. For a regular dinner time you will need to get going around 3:00 P.M. or so. I would also serve this bread with butter and honey for breakfast along with breakfast potatoes and eggs. Here is the recipe. 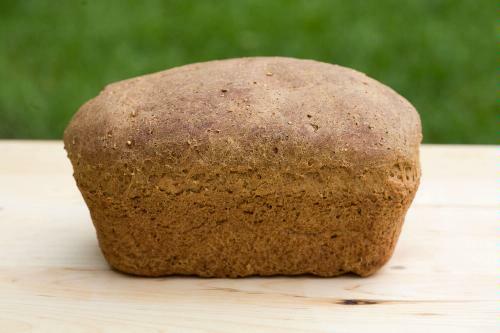 Pour the water into the pan of a bread machine, then sprinkle in the yeast and sugar. Let the mixture sit in the bread machine until a creamy foam forms on top of the water, about 10 minutes. Sprinkle in the salt, then add olive oil, garlic powder, rosemary and flour. Set the machine for whole wheat and light crust setting and start the machine. In a little over three hours you will have perfect rosemary bread! I know I just spent the day yesterday complaining about waiting for our house so if you are tired of this endless diatribe then stop reading now. You have been warned. It has now been three weeks since we submitted our offer and two weeks since it was submitted to the bank for short sale approval. We have not heard anything for a week. Not a word. I know people are complaining all over the internet about waiting months some even almost a year so why should I complain. Here's why. When we put in the offer the seller's agent told us it would only be two or three weeks at the most because the house had already been approved for short sale by the bank and we are offering the same amount so it should go right through. So they wasted a week with getting the offer in to the bank so really the bank has only been looking at our offer for two weeks. Still doesn't that seem like more than enough time to make a decision and to get this party started? The bank is Bank of America so here is my open letter to them. Unlike all the people out there who went and bought houses they couldn't afford. Those people who got crazy loans without thinking it through. All the people who almost forced you to close your doors and sink our economy into one of the worst economic downturns we have ever seen. We are not those people. We chose to wait. We saved our money. We lived as financially responsibly as we could. We didn't buy. We waited. We knew we couldn't afford a house so we tried to do the right thing. We lived in weird apartments and with weird landlords and unusable yards and old appliances that barely work. We currently live with a dryer than puts rust stains on all our clothes, with moldy bathrooms and dirty carpets. Now we are married and have saved up more than enough for a down payment. We are ready to buy our first home together. My husband has banked with you for almost 34 years. He never bounced a check. He never made any financial missteps. He is pretty much your perfect customer. Enough about us. One of your home loan customers bought a house through you and stop paying their mortgage almost two years ago. They left the house. Turned off the water and power. Let all the plants wither away. They ripped out all the fixtures. Ripped out lighting. Ripped off cupboard doors. Now you have been stuck with this house for almost two years. Your customers haven't made payments. You aren't making any interest on their loan payments. You are close to owning a house that is becomming less valuable with every day that passes since it is falling into worse disrepair. The auction is next month so you will own this house and have to pay to market it and lose even more money. If you are worried about displacing the family of cockroaches who has taken up residence in the home we do regret to admit we will have to move them elsewhere. You have an offer from a long time customer who is financially responsible and wants to take this house and pay you full market price for it too. Can I ask what the holdup is? If it were me I would be throwing the keys at us and running the other way. Instead you choose to ignore us and basically act like we aren't even here. If that is how you repay longtime customers then I am not sure I want to do business with you. We really like your house and would like to buy it. Can you at least give us a response so we can move on with it already? 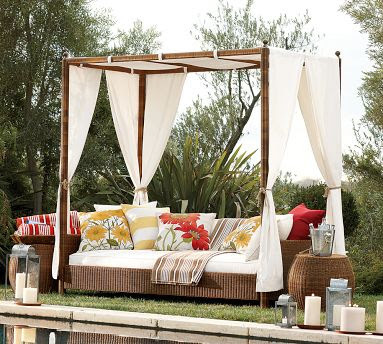 (This cute backyard is courtesy of Pottery Barn). It's now day twenty. No word from the selling agent on our house. We submitted our offer and it took the slowpokes almost a week to get the offer approved and submitted to the bank. Then it took the bank a week to respond and say the offer was received. Now we have waited almost a week for the bank. Short sales. Worth the wait? We'll have to see how this all goes before I can answer that question. The selling agent told our realtor it could take the bank weeks to respond. We have to know something by July 1 because we have to be out of our current rental house by August 15 and we need a little overlap to get the new house move in ready. Hey no worries people we are just here. Waiting. No rush or anything. While I wait I continue to pretend to decorate this and our future houses. I have to fill my hours of waiting with something productive. I could just burrow down in this fabulousness for hours with a good magazine and my baby. 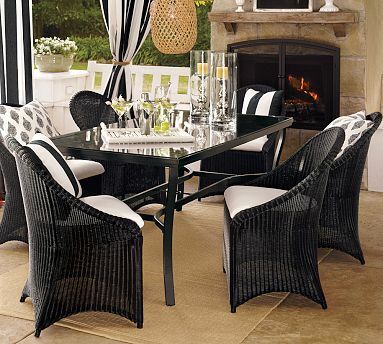 Don't worry Pottery Barn someday I might own a house I can actually decorate like this. I am still searching for the perfect hat so I came across this cute one this morning. I have been wanting a fedora and a panama style hat so I figured this little fedora would be perfect with sundresses and cute summer outfits. Now that I am home more I am also outside so much more. Pushing my stroller around the neighborhood, meeting friends out and about, going to lunch and running errands. A hat is a must have since with the heat here it keeps the sun off your face and adds a little style to some otherwise boring outfits. You all know I am probably Ideeli's biggest fan. I really don't make it to the mall that often. With a baby it is just too hard. Online shopping is what I have to do and I love Ideeli because I get awesome designers on sale instead of just having to be cheap and by my entire wardrobe at Target since that is about all I can afford right now. So I bought this one today and I will report back with a picture of me in it once it arrives! It was only $29 on sale from the regular price of $70. I really do love a deal. Need an invitation to shop Ideeli? Here you go! Happy First Father's Day to this guy. My wonderful and amazing husband. Happy Father's Day to this guy too. My Dad. I never started this blog with the intention of anyone actually reading it. I started it to force myself to write. Then I realized how therapeutic it was for me to get things out. To dream about the future. To cherish all the important moments I was experiencing. Things happened really fast last year. After a long two year engagement my life started moving faster than ever. I had to take a break during my pregnancy. I was on partial bed rest. I was scared. I couldn't talk or write about what was happening because it was so real and so life changing I couldn't force myself to do much of anything. When I came back each of you welcomed me with open arms and the comments I got were so encouraging it made me remember why I started this blog in the first place. I am so greatful to have met such wonderful blogging friends. I have really enjoyed getting to know so many amazingly talented, funny and inspiring young women. Your stories and lives have entertained me, have kept me going and have touched me in ways I never thought possible. I have laughed and cried with each of you and am so amazed at how much each of us has experienced. From weddings to babies we have done it all. Thank you to each of you for inspiring me every day and for teaching me to indulge my passion of writing and to keep doing what I love. (I just linked my blog to Facebook today. I finally got brave enough to try it and I did it. I think I did it. So like Posh Play on the sidebar if you want to follow on Facebook too). I am pretty much smitten with Anthropologie. Too bad my bank account begs to differ. I really don't shop there too much because it is just way too over my price range for my everyday wardrobe. I do shop there for special occasions like last year when I picked up some cute little dresses for all our wedding festivities. If I could I would wear Anthropologie every day. I love the casual boho chic looks they put together and their whole line is so dreamy I can barely deal with it. My Mom just got me some adorable clips last weekend and that pretty much made my month. Now I hear that Anthropologie is jumping into the wedding world? Why! Two years too late my friends! Their new bridal line will launch Spring 2011 and will include everything from fashions for bridesmaids along with jewelry, shoes and other accessories. Outside of fashion, invitations, bridal registry gifts, flowers, travel and wedding planning services are all possibilities to be included in the new brand as well. 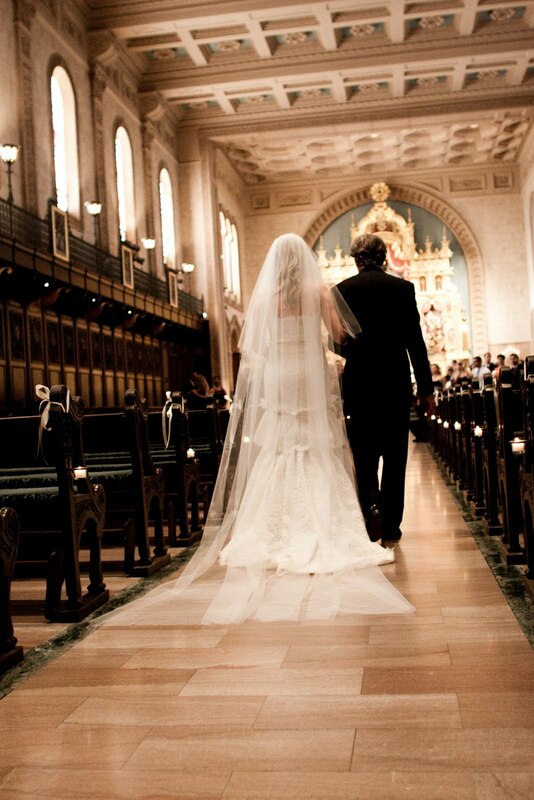 Now you all know I wouldn't have traded my Carolina Herrera dress for the world. Only this new Anthropogie brand would have sure been fun just to play around with if nothing else! We got an alert overnight that our house that we put an offer in on went contingent. We got really excited and texted our realtor when our baby woke up for his breakfast. At 6:30 A.M. I am sure he was really stoked about that. Good thing he is our neighbor and friend so he understands our lack of concept for time. We hope. He said all it means since this is a short sale is that the bank is now reviewing our offer. After a week? They are just now reviewing our offer? We knew this would be a long process only it is so hard to wait! Seriously can't the bank like hire some more staff or something? Every day that these properties sit on their books they are losing money! Not to mention frustrating potential buyers like us! 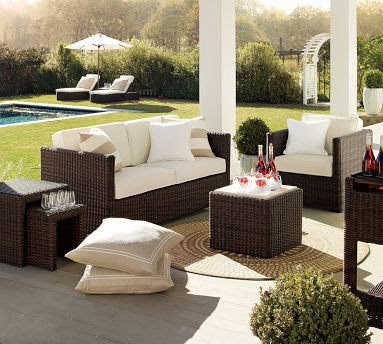 We already know we want our backyard to look just like this Pottery Barn lovliness. Almost exactly like the amazing outside styling of the resort we stayed in when we went to Riviera Maya before our wedding. Our realtor said it might be weeks before we hear anything. I will be here. Waiting. Patiently. Every summer I get in fresh mode. I just want to eat things that are cold and just picked. This might be because we live in a place as hot as the desert and the only way to survive the heat here is to eat fresh crisp foods. One of my favorite staples are sprouts! 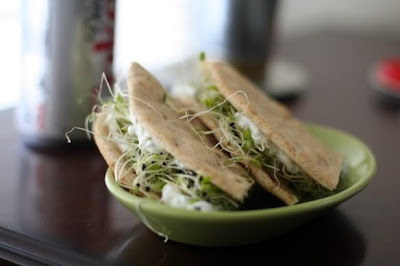 I get sort of annoyed at the grocery store paying for sprouts since we got through them so fast since we stuff them in pitas and put them in sandwiches and top salads with them too. My resorceful husband tought me how to sprout at home last year. He bought us this Burpee seed sprouter which works great and was less than $10. It came with some starter seeds which was awesome because we got to try lots of different sprouts when we started out. Since then I buy seeds at our local co op in the dry bulk foods section. Today I got myself and my baby pulled together somehow into some sort of decent outfits and stocked up on our two favorites. Alfalfa seeds and broccoli seeds. Now for all you moms to be you are supposed to steer clear of sprouts during pregnancy because of concerns about e coli. I didn't eat them while I was pregnant. Now the seed sprouter is filled with seeds and you just have to rinse them twice a day and within a week you will have amazing fresh sprouts! Fun for the kids and I enjoy watching them grow too. Once they are ready to eat I put them in the refrigerator and start over so by the time we are out we already have a new batch ready to go. So easy and such a huge money saver! Tonight I am making grilled organic hot Italian sausage served on grilled sourdough rolls with grilled onions and sprouts. I am probably way late on this trend after all I have spent since March in bed, in our room or somewhere in between without really going anywhere. That and when I do go out I live in a college town so pretty much everyone cruises to the store in pajama pants and shirts. Not much fashion inspiration to speak of. I did manage a trip or two to the mall with my neighbor and her daughter and we seem to be drawn each time to J Crew. I have never been much of a J Crew shopper only this year their colors and so exciting and I really like the casual chic looks they have going on. I especially like the adorable panama hat adorning the displays around the stores right now. So I just got back from a little beach getaway last weekend with my 17 year old sister and you know we had to do a little shopping. Window shopping that is. We rolled into J Crew and I asked her what she thought about the hats and her response was that we just aren't trendy or cool enough to pull it off. This coming from a 17 year old fashionista I had to listen. At least she said we not you. Only when I got home I kicked myself for bowing down to peer pressure. Who is really the 17 year old in this relationship and why am I listening to my sister when I am twice her age? Granted she does have way more style at the moment only I really liked that hat. She also said I remind her of Whitney from The Hills so I don't really know if that is a compliment or what. I guess looking like a 22 year old after just having a baby must be a good thing? See there goes the 17 year old in me again. Mabybye I should just start reading Teen Vogue and call it a day. Today I jumped online to see if I could make the hat my own. So what if I won't look as cool as the J Crew girls who are perfectly styled. Around here as long as I am in something other than a sorority t shirt and the latest pajama pants with something adorned on the a*$ I should be good. Now explain to me why it is $58 seriously J Crew? I love you only I just can't justify it with the sales tax and shipping it was almost $80 which even for this fashion junkie is way too much to spend. Especially now with furloughs and house shopping and oh yeah my lack of paid employment. So long J Crew panama hat. Our relationship was brief only I won't forget you. I hope to find one of your cheaper cousins somewhere else in the retail market. So go have fun with the stylish tweens without expenses and babies and I will stay inside the comfort of my house a little longer until I make my grand entrance to the world of hair and makeup and style once again someday soon. Today is all about my first baby otherwise known as our dog Kobe. I woke up this morning and somehow managed to pull myself together and my baby together in time to get Kobe to his appointment at Petco. My baby cried the whole way there and continued to cry throughout the store all the way to the back grooming area. I got an annoyed look from a woman picking up her dog. Thank you lady. I needed that this morning. Finally it was our turn and I handed over Kobe to the grooming attendant. As I walked away with my baby in his carrier now content and sucking away on his binkie I took a last look at my first baby as he got carried off to the back of the grooming area. His coat is scraggly and his eyes aren't clear because no one has been wiping them and it is allergy season around here. He looked so excited just to be leaving us and going off to have a day all to himself without a crying baby and an overtired Mom. It wasn't like this before our baby. When I got Kobe in my mid 20's he was my first baby. I took him everywhere. I have two designer purses to carry him around in that coordinate with my outfits. He has more clothes than most kids and multiple leashes and collars. I took him to designer dog bouiques to pick out outfits. When I was working in the wine country I would go to gourmet dog bakeries during my lunch hour to pick him out special treats so he would know that I was thinking about him during the day. He even went on vacation with me and flew riding underneath the seat. 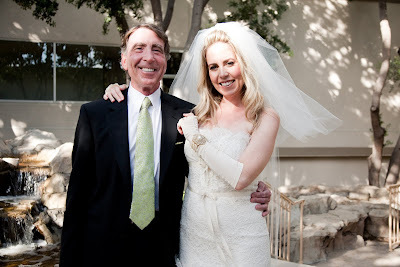 He attended concerts and wine tastings and went to Nordstrom on weekends with me. He stayed in fancy hotels and went on car trips. He only used organic products and had various beds around the house in different rooms. Only when our baby came this treatment came to a screeching halt. Now he is just one of us. 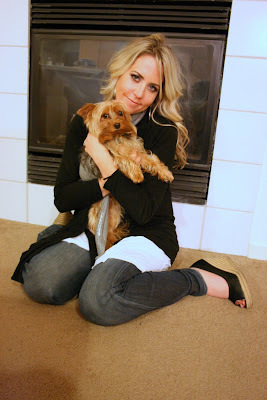 Getting neglected as we adjust to parenthood of our own child. We are all neglected. We all have scraggly hair and unmatching outfits that aren't ironed. We are all a mess except for our baby. He gets neatly folded new outfits and looks put together most of the time. I tried to explain this to Kobe. That when he was our first baby he got this treatment too. As soon as we get more comfortable in our new roles things will balance out again. My brother in law came over the other day with his new dog. She had a fancy leash and lots of toys and he couldn't stop kissing her and talking to her. I laughed to myself thinking how much he reminded me of myself not that long ago when I first brought Kobe home. I told my neighbor that story about how funny he was being and she laughed and said she thought the same thing about me since she had a baby already and thought I was so cute and ridiculous with my dog. I guess each of us learns how to be a parent through the stages of our life. My first baby tought me so much about responsibility and love. Now if we can just get through the adjustment of being real parents and pull ourselves together Kobe might just get another ride in one of those designer bags someday. Only I actually think he looks a lot happier at the end of a leash walking like a real dog. (This picture is last year. Clearly. I have makeup on and hair done and Kobe looks groomed). I realized this morning after getting off the phone with a friend and old coworker how much everything has changed in the past year. I went from getting up every morning around 7:30 A.M. and rushing to get ready for work, make lunch and get out the door to spending most of my day in some form of sleeping attire and hardly leaving our room let alone our bed. Here it is 10:10 A.M. PST and my baby is swinging away sleeping in his swing and I am in bed next to him. I am still in my A Pea in the Pod pajamas and I have already talked to two people this morning who are much more mobile than us. The man at Wells Fargo Investments who sounded really on top of his game and awake as he rattled off investment information and my friend who was already packing and getting on the road for a little getaway. Even before that I got a text from my Mom who was on the ferry on her way to work. That one probably came in before we even woke up all the way. It is hard to believe how quickly time has gone by and how much of my day I spend with my baby just looking at him, talking to him and loving every minute with him. Only at the end of each day how do you explain to anyone what you got accomplished that day? My husband comes home each evening and asks us how our day was and what we did. Usually my mind races and I think. I loved my baby today. That is about it and I am pretty content with that. (This picture is one I took by accident when my husband was showing me how to use his way too complicated digital SLR camera. I like how it just captured a typical moment since our baby has arrived. Oh and that clock on the nightstand. I hardly look at it anymore. Except to time how long my baby is eating). I have never really had a breakfast area all of my own. After living in apartments in my 20's and a stark new construction house for the current chapter I have been drooling over cute spaces to sip coffee and read the Sunday ads with my husband and baby boy. Enter this room. This is my absolute favorite breakfast area I have ever seen! I love it. I love everything about it. Rustic and casual. Cute and bright. It is everything I ever wanted and more. Pottery Barn you reached into my heart and created my perfect space. My husband even likes it which is really amazing since he is the most critical man I have ever met when it comes to decorating. What happened to those football watching beer guzzling guys who don't get involved. My husband is quite comfortable browsing through the latest Crate and Barrel catalog and comparing and contrasting couch styles. At least for now he is on my team with room decorating project number one. I know I shouldn't be decorating a house that isn't even ours yet. We got our offer accepted by the sellers only since it is a short sale we have to wait for bank approval. They said it should be less than three weeks to get an answer and it has only been days since our offer was submitted. The waiting begins. I don't even want to admit this only my husband and I have not had a date night since our baby was born. He is eleven weeks old. I know it is an important thing to do and I am actually pretty sad that we haven't made more of an effort. Between his busy season at work and me adjusting to a new career as a Mom it has been an adjustment for everyone involved. Not to mention my wardrobe lacks the luster it once had. I am finally boxing up my maternity clothes only the pre pregnancy hottie outfits for honeymoon just aren't going to fit now. If not ever. I need to replenish and redo my wardrobe from top to bottom so I can be the stylish Mom I said I would become. The pajama pants and sweats I have been living in for the past months need to take a vacation from everyday wear! I like this dress from My Tribe because it looks loose and not too form fitting and perfect for summer nights out with my husband. I also love a dress you can dress up or dress down and accesorize in new ways. Visit Ideeli to find this adorable little number and lots of other fun summer dress options. Can I also just say this is only $39 on sale from it's regular price of $110. What a deal! You know how this Mom loves a good deal. As any good reader of this blog knows I am absolutely obsessed with milk glass. It is an obsession which has landed me in a bit of hot water with my usually patient husband. Let me explain. I collected milk glass for two years before our wedding. I collected over 200 pieces of milk glass. I told you. I am obsessed. I used the small milk glass vases I found as our place card holders and arranged them on a table with name cards and simple flowers. I think we only paid about $50 from our florist for flowers to be placed in each vase and it turned out really pretty. Now we are getting ready to move and our garage is still filled with wedding decor. We're talking lanterns and candles and ribbon and milk glass. More milk glass than I know what to do with. It was so great to collect only now it just makes me sad to see it sitting in the garage collecting dust. 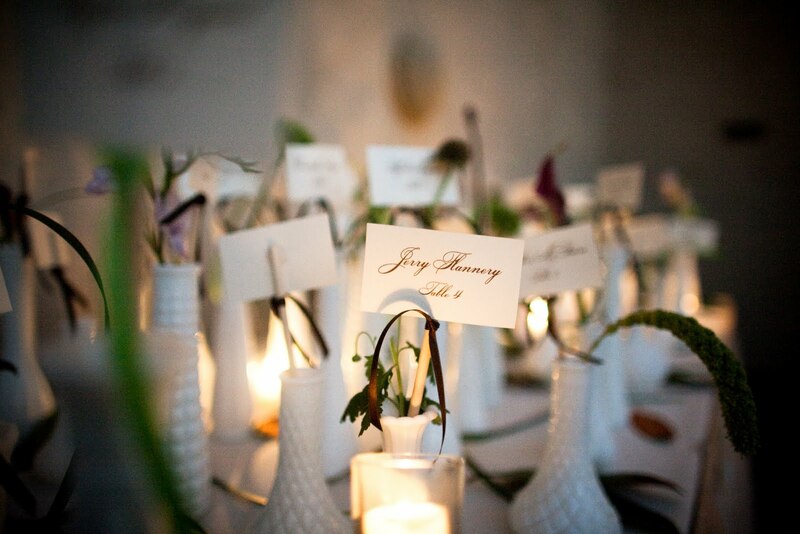 I think of all the places we scoured and all the people we met in our journey to outfit our wedding with milk glass. Know someone who loves milk glass or needs it for an upcoming event? I am definitely ready to sell most of my collection. If for no other reason than to prevent my adorable husband from going completely over the edge as we get ready to move! Comment or email if you are interested! (This picture taken by our talented wedding photographer Phil Paik). If you have been following our recent house search the last time I posted we had our hearts set on this lovely house with our own pool! That house wasn't meant for us and after many tears and some depression filled days we might have found something we like even more! We went with our realtor to the town we are moving to last week one evening after my husband got off work. Imagine a Land Rover with the baby in the back with me and my husband up front with our realtor in rush hour traffic. Not the best time of day to take a baby house searching only with our schedule we have to make it work when we can! We looked at a house with a pool in the back in the country and I decided living next to neighbors with a cow skull in their front yard as a lawn ornament was just too far of a stretch even for a girl who likes to crank up the country tunes on the radio sometimes. Then we looked at the house that we used to think was the house of our dreams and we both decided after looking at it again we were dazzled by the house the first time and it just wasn't doing it for us. Which is a good thing since our loan never would have gone through with the wood shingle roof in shambles and a half completed master bathroom. I started to get really sad. I even thought I might throw up. Where would we live? I looked at our baby and my husband and imagined us moving into one of those exective apartments you pay month to month or a hotel payable by the week. I couldn't handle it. Not with all the changes of having a new baby and packing and moving and repacking and moving again. Our realtor said he had one more house for us. It was on a busy road and I tried really hard to nix it. My husband wouldn't budge. He wanted to see it. I agreed mostly after being so defeated by the house search which has been going on for weeks. I couldn't even look out the window and then the car stopped so I lifted my head and there it was. The most adorable house I have seen during our house hunt so far! I jumped outside and ran around and got the baby out of the car and hurried up these quaint little brick and concrete stairs onto the sweetest little patio which looked out over rolling hillsides and beautiful estates. Here in this million dollar neighborhood one little house just our size sits on the corner. I couldn't wait to go in and I shuffled my feet nervously until the door was opened. Once we finally stepped inside I couldn't believe it. PLANTATION SHUTTERS throughout the house and beautiful wood floors. So they are really laminate only who is really going to snub their nose at that when the house is so completely great in almost every way. 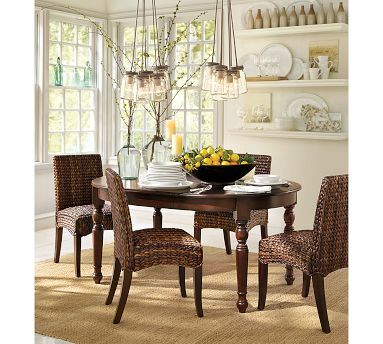 A formal living room, dining room and then a casual family room with a kitchen and even room for a table. An office for my husband and three bedrooms and two bathrooms. The master bathroom is hilarious and black and white tile only totally fixable in the long run. There are weird little things about the house like the most dizzying shades of paint. Yellow family room with a red entertainment nook. Really? Only again totally something we can redo. The house was the sad punching bag in a bitter divorce so someone ripped out the guest bathroom sink fixture and the heating unit off the wall. Now that's what I call a fight! The yard has been left without water for over a year so the landscaping is sad only easily replaced once the water gets turned back on. 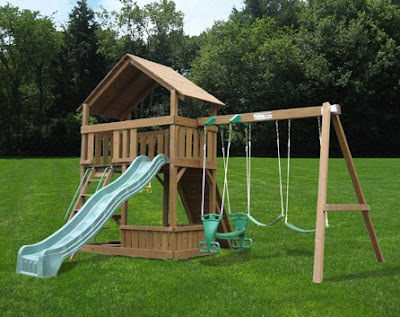 The back yard even has a play set ready playing. I couldn't hold back any longer. I wanted to sing and dance and clap my hands loudly for everyone to hear. Our house! A house that our little baby boy can learn to walk in and sit in his high chair for the first time. A place where a wreath would look just beatiful on the front door around the holidays and a tree can be placed with all white lights right in the front window for all the neighbors to enjoy. As we drove away I yelled happily. It's not even a freaking short sale! Why did I say it? Why? It turns out the house is a short sale and with our recent history with another short sale who knows how it will go. All I know is this house is made for us. It has to be our home. I hope it is our home. Recreational activity; especially : the spontaneous activity of children. I used to be a wine marketing professional for one of the premier wineries in the Napa Valley with a certain celeb owner who shall not be mentioned. Now I am a stay at home Mom to six month old Posh Play. From fabulous to barely keeping it together this is my attempt at motherhood. Doing it as naturally as possible is just icing on the cake.